. Please don't tamper with slider, input box, or checkbox quite yet. Yet do so when prompted to by the questions below the applet. Feel free to drag either of the gray points around. 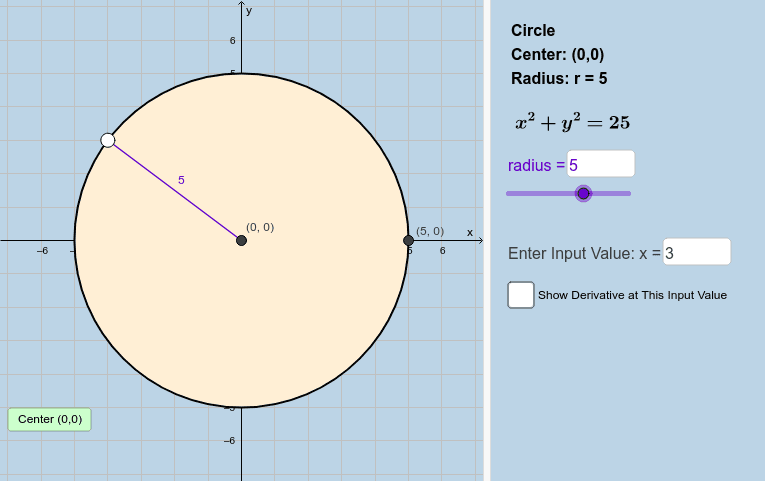 You can also change the radius of the circle as well.